A Space and Science project involving DNA goes all wrong. That is the premises for Rampage. A gentle Silverback Gorilla named George who resides at a zoo, a wild Coyote in Wyoming and a Crocodile all become the unwilling recipients of a DNA sample that crash lands in various parts of the US from a Space Satellite Shuttle that was heading to Earth but exploded upon entry to Earth’s atmosphere. Primatologist Davis Okoye (Dwayne Johnson) has a bond with George and can communicate with him. Davis attempts to calm George when it’s obvious that something has gone terribly wrong. The Authorities sedate George and attempt to transport him to a secure facility. Davis is also brought along. The company who is involved with the DNA project attempts to cover their tracks once it’s determined that the DNA samples have crash landed back on earth. They have their own military personnel at their disposal and dispatch them to find and kill the Coyote. 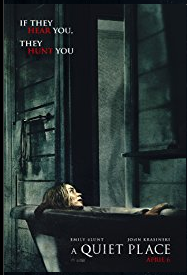 Every year these types of movies make their way to the big screen. This one is actually pretty good. Dwayne Johnson always does well in action movies. 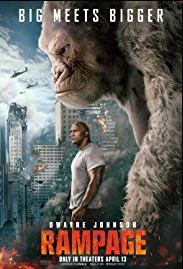 “Rampage” will appeal to the younger set because there are large animals running wild in the big city and Dwayne Johnson and the military are coming to the rescue. The cinematography is great. There was even some comic relief. If you like these types of movies, check out “Rampage”. You know that old phrase “Hell Hath No Fury like a Woman Scorned”. Tyler Perry’s Acrimony is all about that. Taraji P. Henson is Melinda a loving faithful wife who stands by her devious husband through thick and thin until he proves unfaithful and untrustworthy. 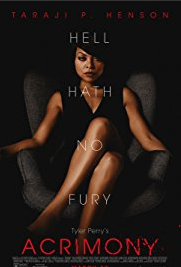 “Acrimony” is a take on “Fatal Attraction” although the slow pace makes the movie a bit difficult to watch. There is no real suspense or intrigue. The story is complex and not truly explained. There is no real back story. The voice-over narrative could have been left out. 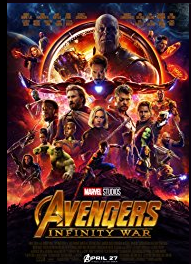 Taraji P. Henson is the best element in the movie, unfortunately that’s not enough. Sadly the movie ends on a bad note and that is the cherry on top of the bad Sundae! !